I am SOOOO honored today to be hosting a COVER REVEAL! I don’t do many cover reveals here on this blog, but this is a book (and series, and author) who are all near and dear to my heart. The time has come to visit the forbidden island of Allay. But first Lintang needs to find her captain, and it seems the only way to get to the Winda is to join – then escape – the Vierzan navy. Only then will Captain Shafira set sail for Allay, where the crew of the Winda must uncover what really happened to the country’s missing ruler. 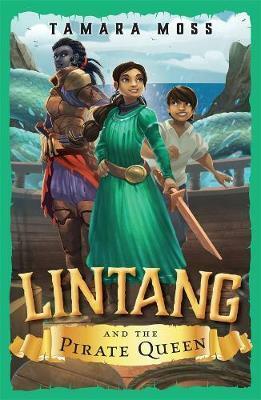 When disaster strikes, and Lintang is separated from her captain again, she and her friends must sneak through the heart of Allay, battle terrifying new mythies and overcome Captain Shafira’s enemies to return to where they belong. Lintang was left behind once. She won’t let it happen again. Tamara has been one of my close friends and critique partners since we were both writing Sailor Moon fanfiction as teenagers (oh the memories!!) and LINTANG AND THE FORBIDDEN ISLAND is quite possibly my favorite of all of the works of hers that I’ve had the privilege of reading over the years! It is witty, fun, adventurous, and has some of the most breathtaking worldbuilding of any books I’ve read. I LOVED this second installment of the series and absolutely adore how this cover captures its excitement and vibrancy! As an added treat, Tamara was gracious enough to answer a few questions for me! 1. If ever there was a series that celebrates confident, talented women in a variety of roles, it’s this one! Can you talk about why it was important to you to include such a female-centric cast? Do you remember Captain Planet? That was on TV when I was in primary school, and my friends and I used to pretend to be the characters. I was always cast as Gi, because she’s Chinese and I have brown skin (I’m part Sri Lankan), and that was “close enough.” I was so mad! I grew up with not only a lack of female role models, but a complete lack of girls who looked like me in books and movies, and trust me, I felt ugly my whole childhood. I made sure I wrote a variety of women in Lintang, because I want girls like me to feel good about themselves. 2. Perhaps my favorite thing about both LINTANG books are the mythies! Some are familiar, such as dragons and mermaids, while others, like the malam rasha and the shadowdeath, are sooo creepy and fascinating! Where did you draw inspiration from to create such a variety of creatures? Some mythies, like the malam rasha and the sea guardian, are actually influenced by mythical creatures around the world. I researched mythology in SE Asia for the first book, parts of Africa for the second book, and Japan for the third book, and drew my inspiration from them while adding my own twists. Others, like the lidao, I completely made up, creating their myths to suit the story. 3. I know that Book Three is in the works! *Checks inbox again to see if you’ve sent me the manuscript yet. Sees it empty and sighs. * What can you tell us about the continuation of Lintang’s adventures? I’m 35,000 words into Book 3, and spring holidays have just started! Hopefully I can finish this draft in two weeks. 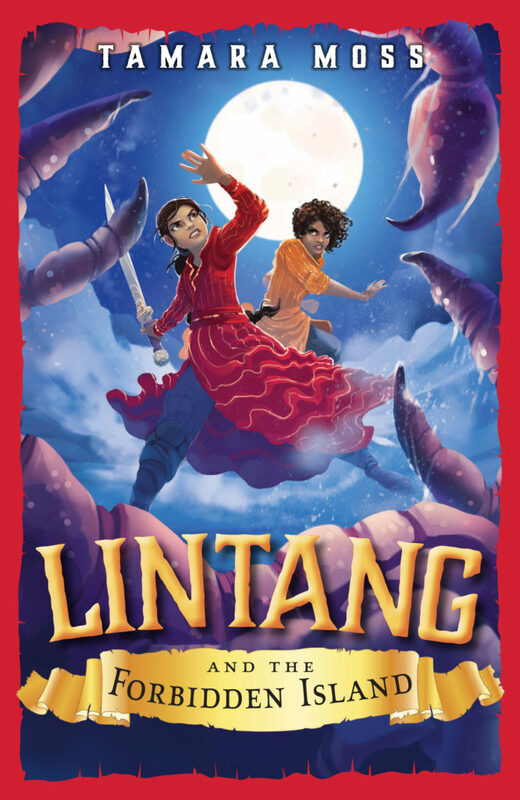 Over the next two books, Lintang is trying to find her place on the Winda while travelling to different countries and meeting new friends – and mythies (see: the new character and predator mythie on the cover of Lintang and the Forbidden Island!). She’s learning different skills and improving her fighting so that one day she can become a fierce warrior like the legends in her stories. I can’t wait to see how she goes for the rest of Book 3! Thank you so much for the interview, Marissa! Lintang dreams of having adventures on the high seas. When a deadly mythie attacks the same day the infamous Captain Shafira visits her island, Lintang gets her chance, defending her village with a bravery that earns her a place on the pirate queen’s ship. But they’ve barely left the island when Lintang discovers her best friend, Bayani, has stowed away. Telling Captain Shafira means betraying her friend, but keeping Bayani’s secret risks everything . . . including their lives. Congrats to Tamara!! I know now I need those books in my hands as soon as posible. So what you can find here for the remember passwords in egde. This show many type of the point of view which where you can easily consider for the make it strong and every time its really work very well.